Rocco is the number one pole acrobat in Atlanta. He has three different polished international level acts with his own portable, freestanding pole. It can be set up in any venue, but looks best with at least a nine foot ceiling. 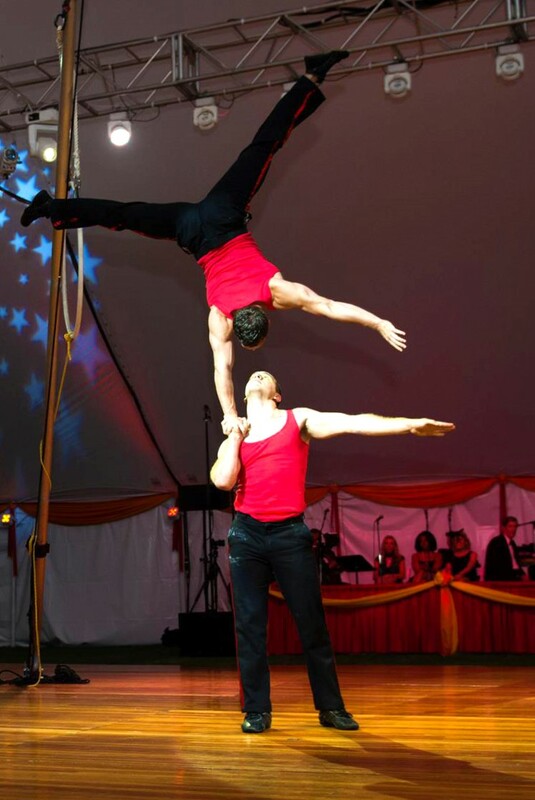 Rocco has performed acrobatic acts at least thirty different countries, including most of western europe, most U.S. states, Canada, India, and more! Hand balance is widely regarded as one of the most difficult cirque disciplines and Rocco is the most sought after hand balancer in Atlanta. Rocco can do a handstand on most surfaces and even extreme heights. Need a handstand on the edge of a skyscraper for your publicity stunt or music video? Rocco is your guy. Juggling is a great skill for ambient entertainment. Rocco can juggle clubs, balls, Diabolo (large yo-yos that can be thrown and caught off of the string), and machetes. Low light at your venue? Rocco has high-intensity LED juggling props. Want to make your event extra special? 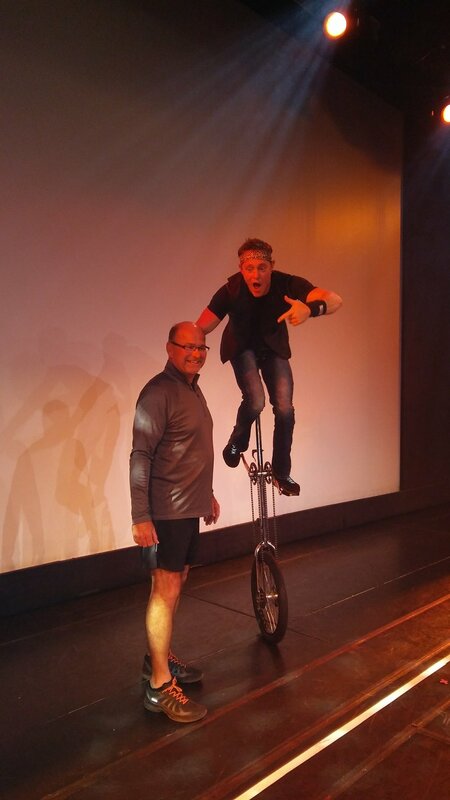 At client's request (in advance) Rocco can balance or juggle something from any venue. Folding chairs, recliners, cucumbers, shoes, hats, walking sticks, fire torches, water bottles, test tube beakers, and 12 foot ladders have all been items Rocco has performed with professionally. Rocco is an elite stilt walker and unicyclist, able to ride and idle (stay in one place), with one foot and while juggling. Rocco can also dance and go up and down small flights of stairs. For low light events, Rocco can light the spokes and shaft with LED lights to stand out even more above the crowd! Rocco can also provide his own standalone shows anywhere from just fifteen minutes to an hour. He provides all props, sound system, safety, and/or fire equipment and can perform almost anywhere.